Today is day 3 of snowed in and no school. So excited that tomorrow is also a snow day. The only bright spot is that we have power. It’s always more tolerable with heat and electricity! Since we’ve been stranded at home, I’ve developed some new Brain Boosters to help build your brain power and cognitive reserve. I’ve named these Word Plugs. Word Plugs focus on thought organization skills, thought flexibility, problem solving, executive function, processing, reasoning, and logic. Today Word Plugs have been tested on my teenage daughter and middle aged–baby boomer husband. They both gave it 2 thumbs up! These Word Plugs are great for teens to seniors as another brain fitness activity for anti-aging. Take advantage of the brain’s plasticity and ability to new learn new information. Become a lifelong learner-you’re never too young or too old for new learning! So, if you are looking for something new to try to form those new neural pathways to help fight Alzheimer’s Disease or dementia definitely try your hand at these. By the way, isn’t 2011 the year you committed to your health? Of course, it is! That’s everyone’s goal! No healthy goal is complete unless you have a brain fitness component. Be sure you’re eating all the right foods-the omega 3’s, fresh fruits and vegetables, nuts, healthy grains, water, lean proteins, plenty of fresh herbs and spices. Also, be sure you’re getting adequate amounts of vitamins and minerals-Vitamin D, Vitamin B’s, Vitamin E, Vitamin C, magnesium, calcium, iron. As always, check with your physician for the right amount of supplements for your individual needs. As you know, I have my cup of green tea and am ready to go! Now, I present you with Word Plugs. You will be presented with words that are missing letters. The challenge is to determine which smaller word will complete the presented word. 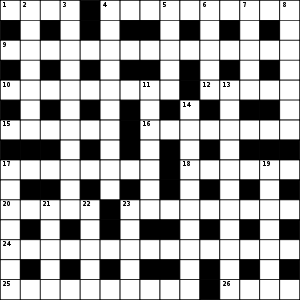 Each numbered section will be solved by the same word. Take the challenge and enjoy! Let us know what you think of these and how you do! Posted on January 12, 2011, in Ageing, Aging, Alzheimer's, Alzheimer's Disease, Anti Alzheimer's, Anti Alzheimer's Disease, anti-aging, baby boomer, Baby Boomer Activities, baby boomers, Baby Boomers Activities, Brain, brain challenges, brain fitness, Brain Food, Brain Foods, brain games, brain health, Brain Maintenance, Brain Plasticity, brain teasers, brain training, breathing, breathing techniques, Build Brain Power, cognition, cognitive health, cognitive reserve, cognitive skills development, cognitive training, Dementia, executive function, executive functions, exercise, FAMILY ACTIVITIES, FAMILY GAMES, Games, grey matter, health, health and wellness, Health benefits of spices, Healthy Aging, Healthy Eating, healthy heart, Healthy Living, Healthy spices, heart, Improve brain function, Improve Memory, Improve Thinking Skills, judgement, judgment, learning, lifelong learning, Longevity, memory, memory exercise, memory exercises, Memory Loss, memory training, mental exercise, Mental fitness, Mental Stimulation, mind challenges, mind fitness, mind games, neuroplasticity, Prevent Memory Loss, problem solving, processing speed, puzzles, reasoning, Senior Activities, Senior Fitness, senior health, Spices, Spices for brain health, Spices to promote brain health, stress, Stress Management, Stress Reduction, stress relief, thought flexibility, THOUGHT FORMULATION, thought organization, Word Games, word play, Word Puzzles and tagged Ageing, Alzheimer's disease, Anti Alzheimer's, Anti Alzheimer's Disease, anti-aging, Baby boomer, baby boomers, Blood pressure, brain, brain fitness, brain health, brain plasticity, Cognition, Conditions and Diseases, dark chocolate, Dementia, executive function, Family activities, Family activity, Family Games, Fitness, Grey matter, health, health and wellness, healthy aging, Healthy diet, Heart disease, Hypertension, judgment, longevity, memory, Memory Loss, mental fitness, mental stimulation, Neural pathway, Neurological Disorders, neuroplasticity, Nutrients, Nutrition, Olive oil, Omega-3 fatty acid, Physical exercise, Prevent Memory Loss, problem solving, Puzzle, Senior Fitness, senior health, Stress, Stress management, Vitamin, Walnut, Word game. Bookmark the permalink. Leave a comment.